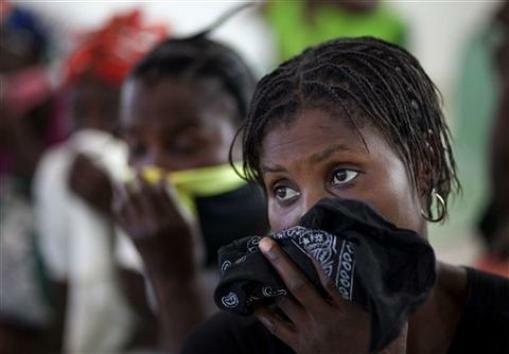 Women cover their mouths and noses as they wait for their children suffering cholera symptoms to be treated at the hospital in Grande-Saline, Haiti, Saturday, Oct. 23, 2010. A spreading cholera outbreak in rural Haiti threatened to outpace aid groups as they stepped up efforts Saturday hoping to keep the disease from reaching the camps of earthquake survivors in Port-au-Prince. 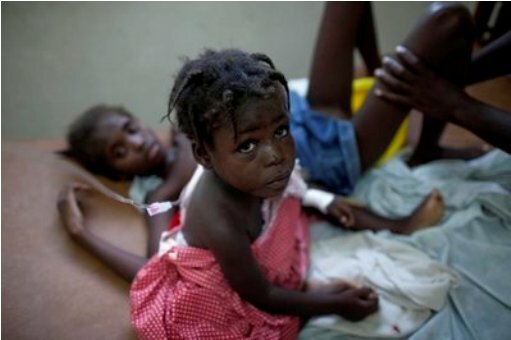 October 24, 2010 (KATAKAMI / VOA) — The cholera death toll continues to rise in the Caribbean island nation of Haiti. 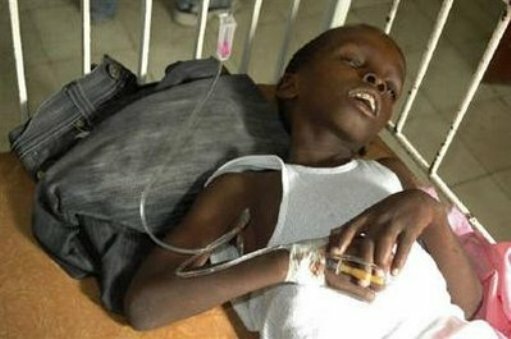 Health authorities say 253 people have been killed with more than 3,000 infected with the cholera bacteria. Concern has grown that the disease could spread to the squalid, unsanitary camps near Port-au-Prince, home to hundreds of thousands of survivors of last January’s earthquake, after five cases of cholera were detected in the capital. But the chief Haitian health official (Gabriel Thimote) said Sunday that the rate of reported cases is diminishing and it appears that the cholera outbreak could be contained. So far the disease has largely been confined to the Artibonite region in central Haiti where the first cases were reported last week. International humanitarian agencies are distributing water purification tablets, hygiene kits and medical supplies to the affected areas of the country in an effort to contain the outbreak. 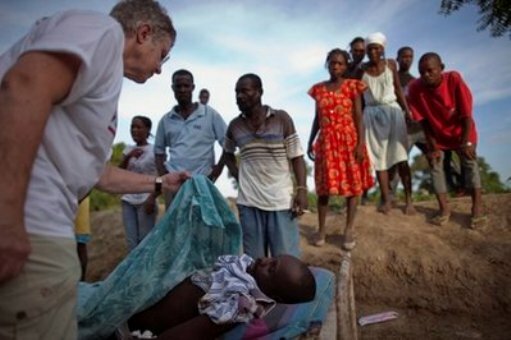 Cholera, a bacterial infection, is typically spread by contaminated water and food. The disease is treatable but without treatment, it can kill within hours. 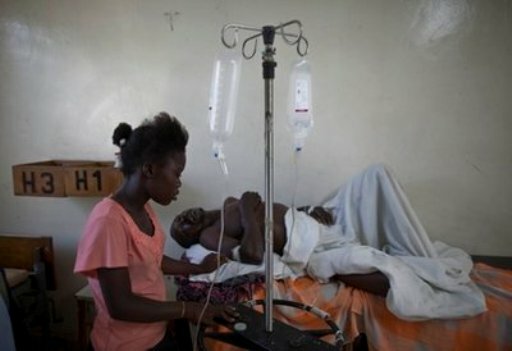 October 24, 2010 (KATAKAMI / Reuters) – A cholera epidemic in Haiti has killed more than 250 people, the government said on Sunday, but it added the outbreak which has sickened more than 3,000 may be stabilizing with fewer deaths and new cases reported over the last 24 hours. 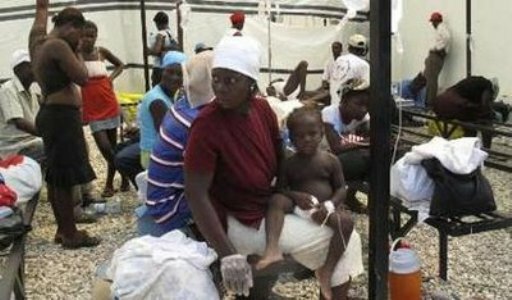 “We have registered a diminishing in numbers of deaths and of hospitalized people in the most critical areas … The tendency is that it is stabilizing, without being able to say that we have reached a peak,” Gabriel Thimote, director-general of Haiti’s Health Department, told a news conference. 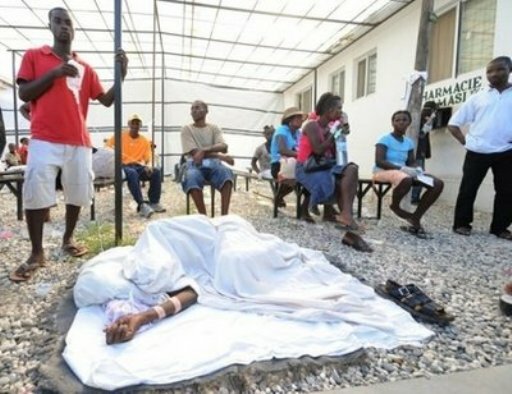 The accumulated deaths since the cholera outbreak began around a week ago in the earthquake-ravaged Caribbean nation stood at 253, while total cases were 3,015, mostly in central rural regions straddling the Artibonite river. Thimote said that whereas previously the hospital in Saint-Marc in the Artibonite region was recording deaths by dozens, it had registered only one on Saturday. The epidemic is the second emergency to strike the poorest country in the Western Hemisphere this year. 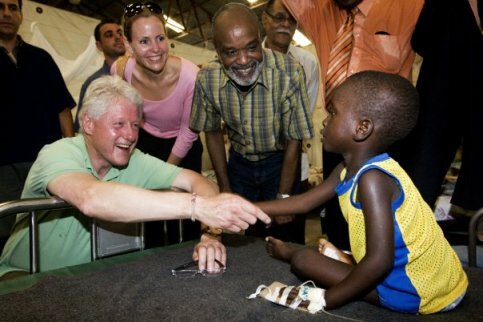 A catastrophic January 12 quake killed up to 300,000 people in Haiti, which is only a two-hour flight from the United States. Scientific papers published by seismology experts in the journal Nature Geoscience on Sunday said the January earthquake may have been caused by an unseen fault and pressure could be building for another quake. Despite the reports of a stabilizing trend in the cholera outbreak, foreign aid agencies were preparing for a possible worst-case scenario of the epidemic spreading across the country, including the densely populated capital. U.N. peacekeepers were erecting cholera treatment centers — structures large enough to treat 150 cases each — in the main outbreak region of Artibonite, in the overcrowded capital Port-au-Prince and in the Center province. 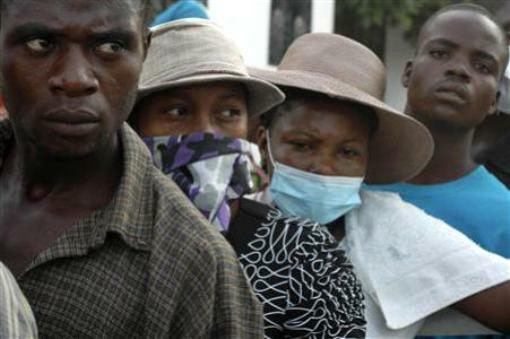 The detection of five “imported” cases in Port-au-Prince, involving patients who had traveled south to the city from the central outbreak zone, has raised fears of the virulent diarrheal disease spreading in the capital. Experts see Port-au-Prince’s sprawling, squalid slums and tent and tarpaulin camps housing some 1.3 million homeless quake survivors as vulnerable to the cholera, which is transmitted through contaminated water and food. “We are planning for the worst-case scenario here … we have to be ready for this,” United Nations humanitarian spokeswoman in Haiti Imogen Wall told Reuters. The 12,000-strong U.N. peacekeeping mission in Haiti (MINUSTAH) is helping to put up the cholera treatment centers. The Pan American Health Organization, the regional office of the World Health Organization, said cholera cases had been confirmed in Haiti’s Artibonite and Center provinces and in the Oest province, where the capital is located. Suspected cases have also been detected in Nord and Sud provinces. October 24, 2010 (KATAKAMI / RIA NOVOSTI) — Canada will grant Haiti $1 million to help the Caribbean country fight a cholera outbreak, The Toronto Star reported on Sunday, citing Canadian Prime Minister Stephen Harper. Harper said the money would also go to prevent further outbreaks of water-borne disease. 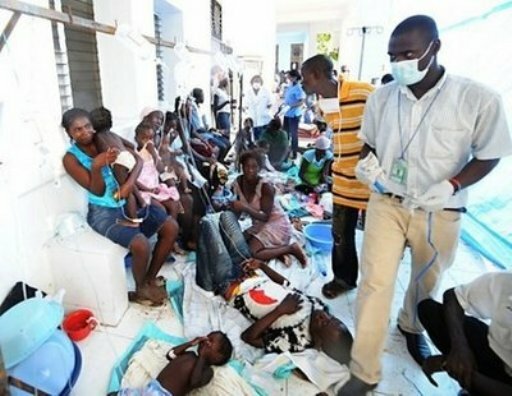 Haitian health officials confirmed the first cases of cholera in Haiti’s capital, Port-au-Prince, on Saturday, saying that five people had become infected in the main outbreak area of Artibonite, to the north of Port-au-Prince, and were isolated after falling ill. 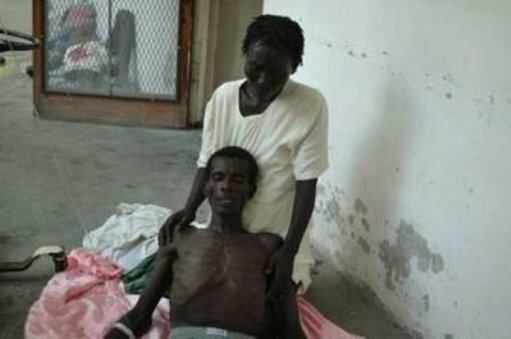 The cholera outbreak has sparked fears that the epidemic could grip thousands sheltered in refugee camps in the capital. 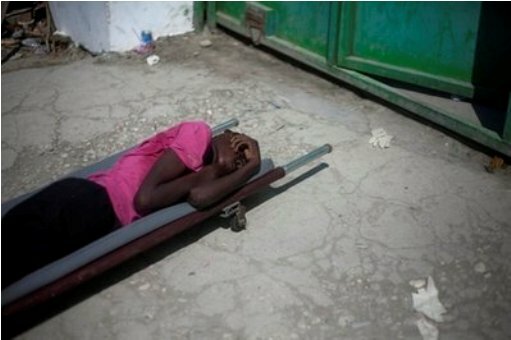 At least 208 people have died on the island since the outbreak of cholera nine months after a devastating January 12 earthquake killed more than 220,000 people in Haiti. 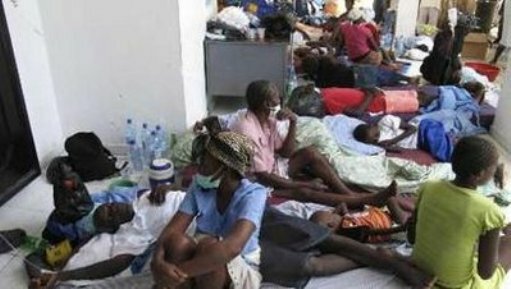 Officials have warned that the death toll from the epidemic, the first in half-century, could rise further as more than 2,000 cholera infections have been registered on the island. 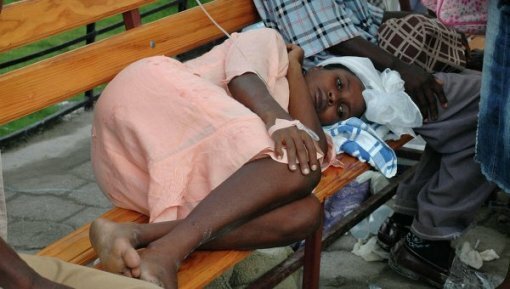 A state of emergency has been declared in the epidemic-hit Artibonite. Medics and aide groups are working 24 hours to prevent the further spread of the disease. Cholera is a bacterial infection that spreads through contaminated water, causing causes severe diarrhea and vomiting that can lead to dehydration and death within hours.